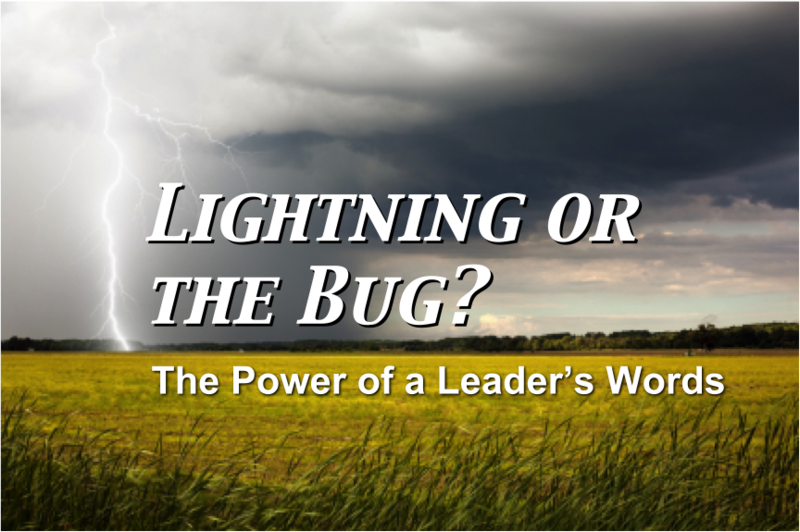 When it comes to communicating, some leaders cast lightning bolts while others play with fireflies. In this post we'll look at some powerful lines from great communicators and consider how every leader can unleash the power of words. In 1896, Professor Woodrow Wilson spoke at the 150th anniversary of the College of New Jersey (Princeton University). His address, "Princeton in the Nation's Service" was in the words of his biographer, "an oratorical triumph." At that time there was much speculation as to who would succeed Princeton President, Francis Landey Patton. Wilson's speech so captivated his audience, it practically assured his ascension to the presidency of Princeton. "A faculty friend of Wilson's later recalled that someone who entertained notions about succeeding [the] president of Princeton said this speech had made him abandon those hopes." Of course words devoid of character diminish their impact. The title of Roger Ailes' book, You Are The Message puts it well. It is our lives, not just our words, that communicate. Character matters. Great character is required of all who lead for God (Psalm 78:72; 1 Timothy 3:2). The best leaders believe that at their core. Let's consider a few leader who illustrate the power of words. I expect that the Battle of Britain is about to begin. Upon this battle depends the survival of Christian civilisation . . . . Let us therefore brace ourselves to our duty and so bear ourselves that if the British Empire and its Commonwealth last for a thousand years men will still say, "This was their finest hour." Martin Luther King, Jr. stood on the steps of the Lincoln Memorial in August of 1963. He faced a country torn by racial strife, but King's I Have A Dream speech helped us envision a better way and a better country. And I want to say something to the schoolchildren of America who were watching the live coverage of the shuttle’s takeoff. I know it is hard to understand, but sometimes painful things like this happen. It’s all part of the process of exploration and discovery. It’s all part of taking a chance and expanding man’s horizons. The future doesn’t belong to the fainthearted; it belongs to the brave. The Challenger crew was pulling us into the future, and we’ll continue to follow them. . . .
We will never forget them, nor the last time we saw them, this morning, as they prepared for the journey and waved goodbye and "slipped the surly bonds of earth" to "touch the face of God." Perhaps you are thinking, "But I'm not Churchill, King, or Reagan!" That's right! But all of us will use words to encourage, cast a vision, comfort, or teach. I only wish I had worked more. There are great pleasures in life--to those who know the Latin or the Greek tongues well. Of course at school one only sees the seamy and unattractive side of classics, the grammar & prosody -- instead of the manners and customs. Click here for the post, "How To Break Out Of A Reading Slump"
Click here for the post, "For Those Who Want to Lead, Read"
Communication does not have to be eternal to be immortal. King's "I Have A Dream" speech lasted just seventeen minutes. JFK's commitment to put a man on the moon was encapsulated in a sentence. Churchill's brilliance was expressed in thirty-four words. Lincoln's Gettysburg address, as published by the NY Times, was just 263 words (much shorter than this post). Cut the fat. Get to the point. Keep it short. As Howard Hendricks has said, "Preparation is the best insurance you can take out on your communication." Just because your speech or note will be short, does not mean your preparation can be spotty. Good writing and good speaking is hard work. The good news is that we can all get better with deliberate practice. That is the message Geoff Covin sends in his book, Talent Is Overrated. 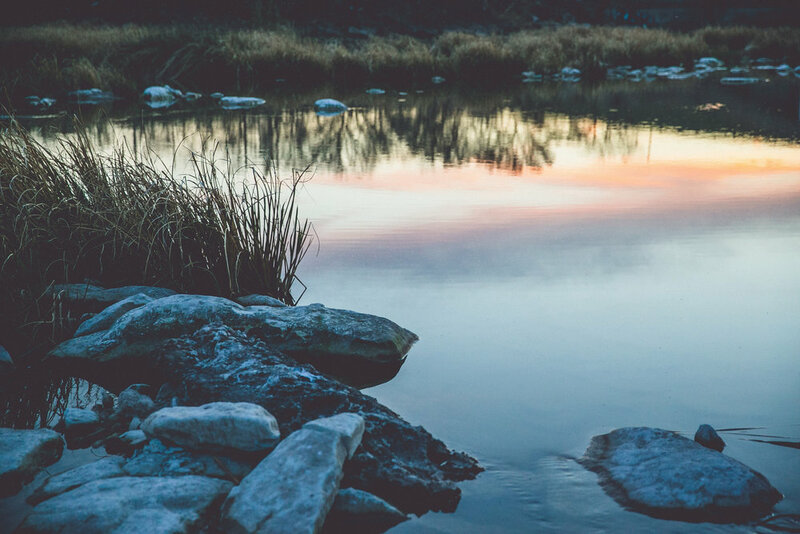 Colvin eschews the idea of "practice makes perfect" in favor of research that demonstrates the necessity of intentionally getting out of our comfort zone and focusing our practice in a specific domain area we want to improve. Warning: This is not easy and it isn't much fun. In The Advantage, Patrick Lencioni writes, "The world is full of organizations where employees feel uninformed and in the dark even though they have access to more glossy newsletters, interactive Web sites, and overly produced employee meetings than they need or want. What they don't get is consistent, authentic, and relevant communication." Lencioni's words are a great reminder that our words are important AND that giving any message just one time is not enough. The people with whom we are communicating need to hear our message again and again. And then need to hear it in fresh new ways. It is tempting to hit the "send" button on an important note or to finish the talk and think, "I'm done! I can relax." But that is only partially true. Good communicators become great because they evaluate their communication. We usually think of evaluating "after the fact," but evaluation can actually happen prior to the message. We do this by allowing people to critique what we have written before it "goes to press" or before we step up to the mic. My intention here is not to provide a template for evaluation, but to make sure we are taking time to evaluate. What worked? What didn't? Why? Ask the questions yourself. Then ask them of someone who was on the receiving end of your communication. The Christian leader prepares with all diligence, but ultimately rests in the grace of God. It is the confidence of God's help coupled with the certainty of His love that allows us to be at our best -- and rest in peace even in those times we are not at our best. Writing a book is a big deal. Giving a talk to your work group is a big deal. Everyone gets that. But writing a memo is also a big deal. Sharing the announcements at a Sunday morning service is a big deal. Giving a three-minute introduction to a speaker is a big deal. There are no small communication moments. Every time you open your mouth, put pen to paper, or tap out a note it is important. What can you do to enhance the power of your words? Twain, Letter to George Bainton, 10/15/1888. John Milton Cooper, Jr. Woodrow Wilson: A Biography.New York: Alfred A. Knopf. 2009. Page 72. Ronald Reagan. "Speech on the Challenge Diaster." www.teachingamericanhistory.org. Accessed August 27, 2012. Geoff Colvin. Talent Is Overrated. New York: Penguin Group. Pages Page 65-72. Patrick Lencioni, The Advantage: Why Organizational Health Trumps Everything Else In Business. San Francisco: Josey-Bass. 2012. Page 149.